All accidents must be reported within 90 days of the incident as per CARHA Hockey. All of the original documentation is required before a claim can be submitted as per CARHA Hockey. Only players wearing full facial protection or a half shield (visor) with either an internal or external mouth guard will be allowed to submit a dental and/or medical claim for a facial injury as per CARHA Hockey. 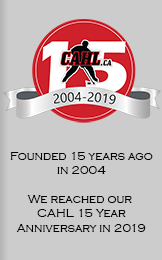 Please check the CARHAHockey.ca website for the latest up-to-date pertinent information as CARHA Hockey, at their sole discretion, reserves the right to make any changes of any kind without any prior notice.